Mussels. Yes, mussels but not Atlas muscles, the mollusca kind. Baby Lady sure liked these. OK, we’ve previously posted how Baby Lady loves mussels so we won’t discuss that in this post. Instead, let’s talk about mussels themselves. 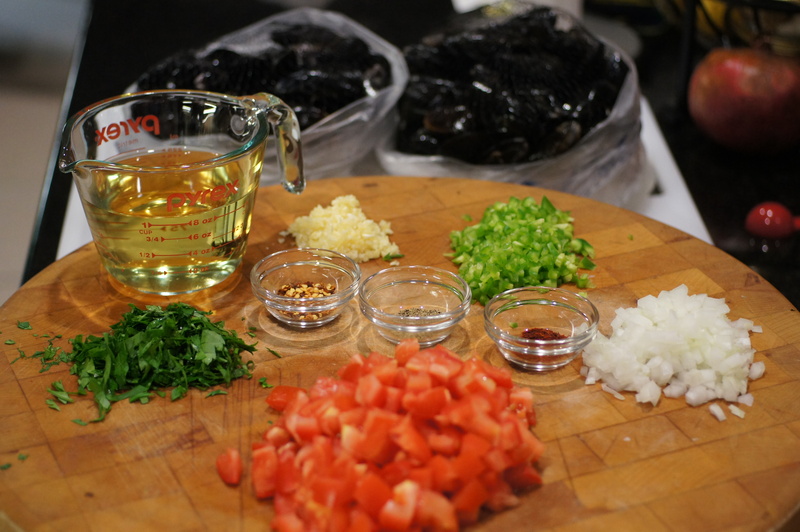 Did you know mussels are one of the most flavorful and inexpensive shellfish available on the market? Did you know mussels are one of those sustainable foods? 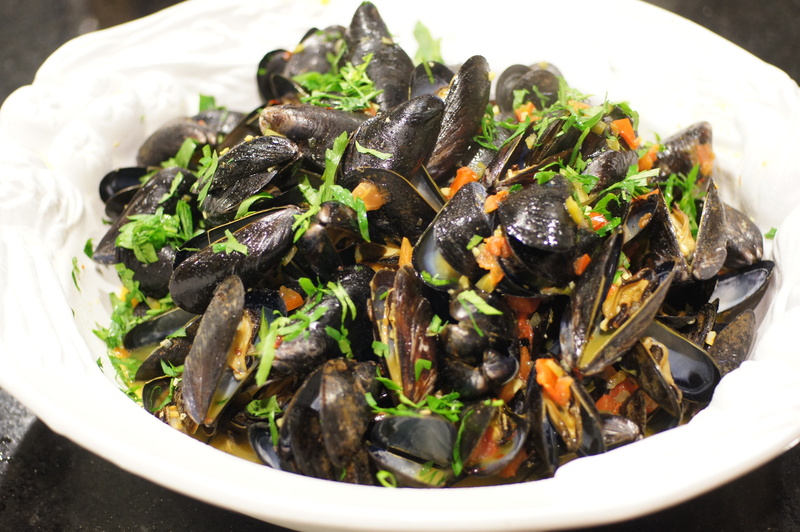 How about, did you know mussels are good for you? They are all of these things and more. It used to be you would dig for mussels. In fact, when they harvest wild mussels, they dredge for them. Obviously, that is not beneficial for the bivalves or anything else. Thankfully, mussels are the ideal candidate for sustainable food. They reproduce quickly, have rapid growth rates, can settle and thrive at high densities. Mussels are also not as susceptible to parasites and disease organisms as oysters and other cultured bivalve species. Instead, farm raised mussels are gathered when they are young and grown on ropes studded with plastic spikes. This allows for easy harvesting when fat enough for eating. Further, mussels farmed commercially act as a natural boost to the local marine environment. Did you know that mussels, clams and other bivalves are Mother Nature’s way of filtration. Indeed, every day a single 5 cm Mussel will take in 50 litres of sea water, filtering microscopic nutrients and essentially purifying the water that passes through it. Further, commercially farmed mussels naturally enhance local biodiversity in that they attract seaweeds and anemones, which then act as ideal nurseries for several species of fish and crustaceans. 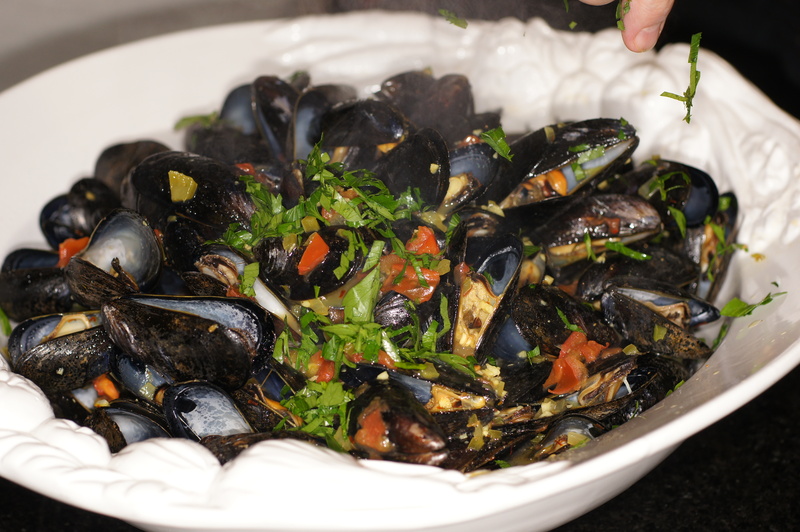 As for mussels being good for you, not surprisingly, mussels are a high protein food source wit a low fat content. They are low in calories, with raw mussels containing only 70 calories per 3 oz. (85g), including 1.9g of fat (0.4g of which is saturated fat); are a very good source of omega-3 fatty acids; and are an excellent source of vitamin B12 and selenium. 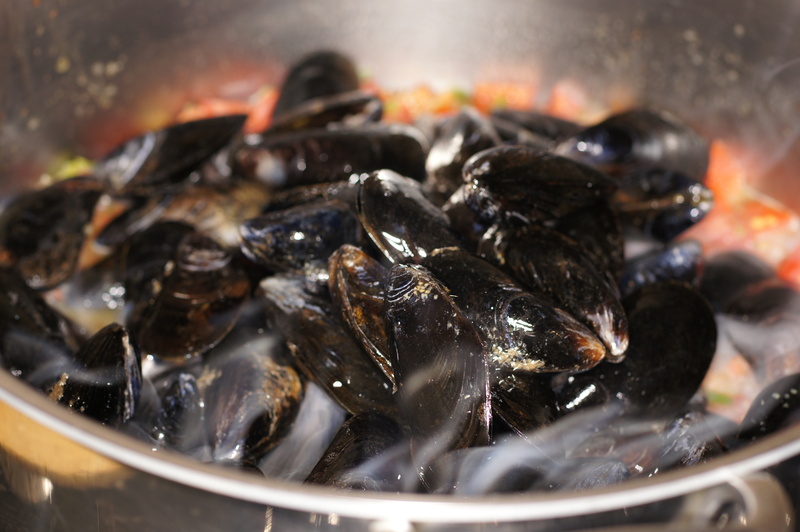 In addition, a serving of mussels also provides 1/8th of your daily vitamin C needs and 1/4 of your daily iron needs. Pretty slick, eh? Insofar as cooking mussels is concerned, there is a myriad of ways to cook mussels, Indeed, you can broil them, or grill, roast, sauté, deep-fry, shuck and boil (in soup), or split and bake them. All of these are wonderful ways of cooking mussels and we will eventually cover all these elements; however, the easiest and most common way to cook mussels is to steam them which is what we are doing today. 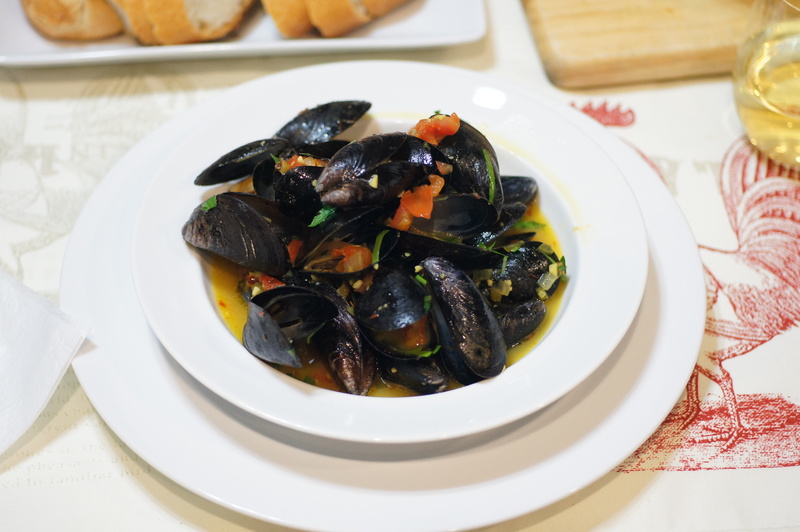 We also believe it’s the best way to cook them because it leaves you with a mouthwateringly, delicious, aromatic, spectacular broth that you can serve along with the mussels. What a neat deal. Food that you like that likes you back. Do you like mussels? We do and this is a classic mussel preparation. It’s really good. So if you like mussels, give this a try. Heat a large dutch oven over medium-high heat. 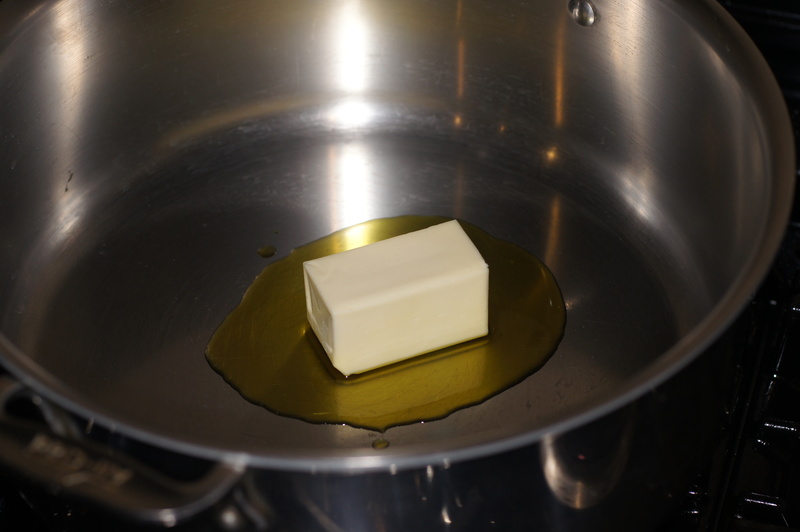 Add the oil and butter and melt. Add the onions, bell pepper and garlic and sauté for 1 minute. 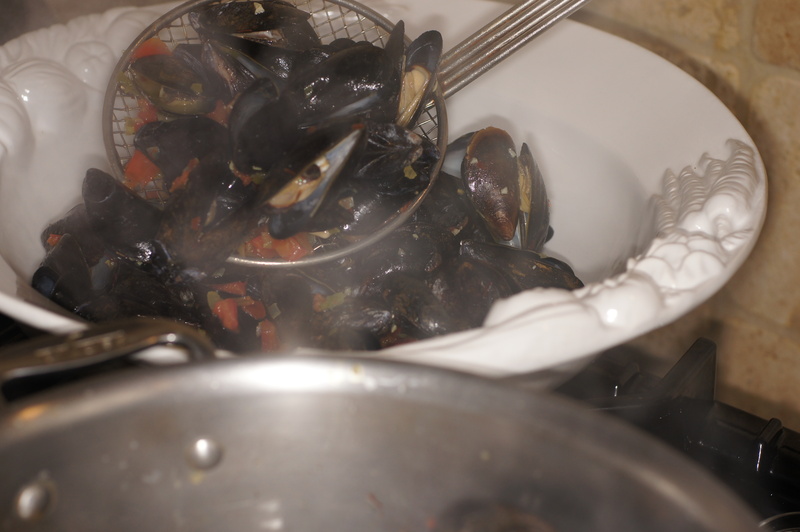 After 1 minute, add the tomatoes, saffron, black pepper, crushed red pepper, wine and mussels. 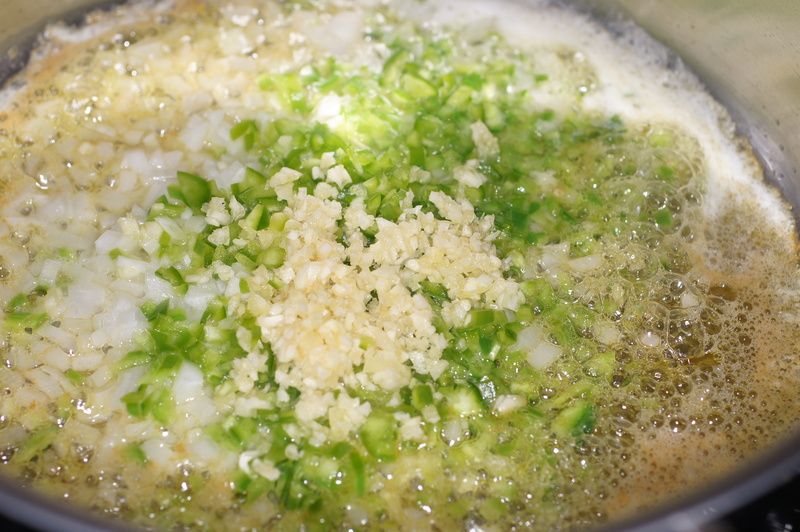 Cover, bring to a boil and cook for 5 minutes or until the shells have opened. Remove mussels from dutch oven, discarding mussels that did not open, and tent. 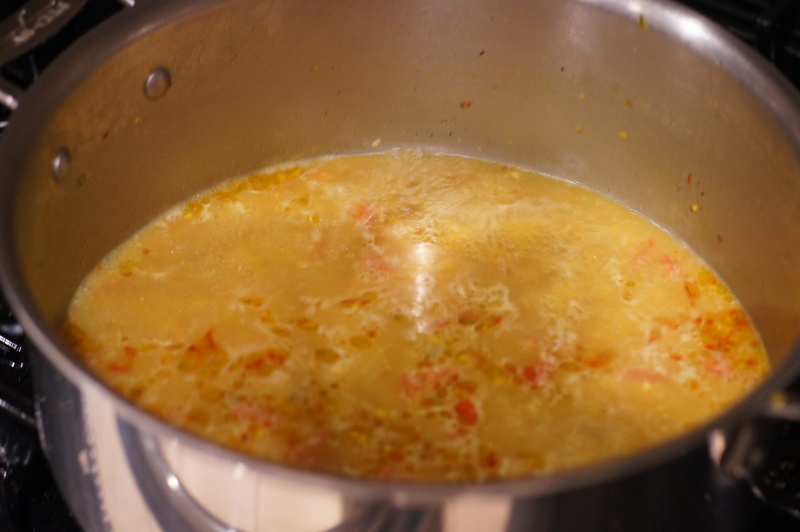 Bring remaining broth to a boil and reduce by 50%. 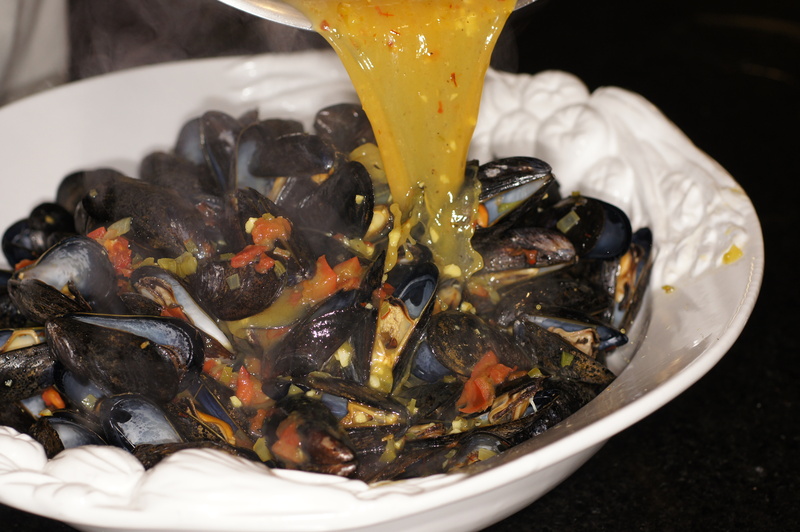 I love mussels, too, and this is a great way to prepare them! I also like that you are not overcooking the mussels, because that makes them tough. The vacation was outstanding, thanks! $5 for 2.38 grams is a bargain. Here in the supermarket it is sold by 0.05 grams for $1.25 (1 euro). That is a pinch of threads, about enough for risotto for 2. I LOVE Mussels!!! great recipe and post! My pleasure, and thank you for lovely pictures of delicious food! I’m with your wife. I love ’em! Because they have a stronger flavor than clams, you can do so much more with them and not worry about “losing” them in the dish. Your recipe here hits all of the right notes for me. Thanks, John. I agree with you wholeheartedly about mussels being more versatile than clams. We love them and are always trying different things with them. Nature’s natural filtration system never tasted so good! I love most shellfish but I have a special place in my heart and my tummy at the local Belgium beer cafe (lol!) thank you for reminding us of their value, not only in the oceans and Sea, but also as a sustainable food source which allows us to love not only the environment but our bodies as well! It all sounds and looks incredibly delicious!